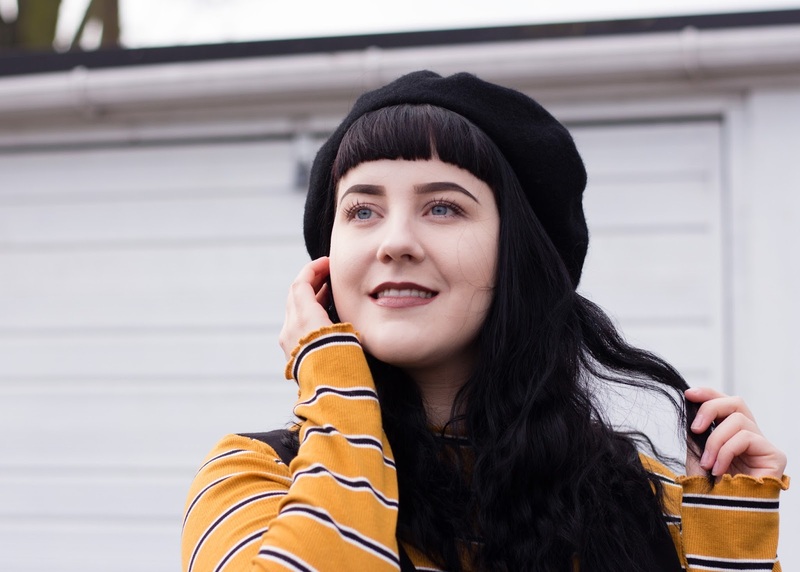 Striped tees have sort of become a signature look for me, I own so so many in a lot of different styles and colour ways! 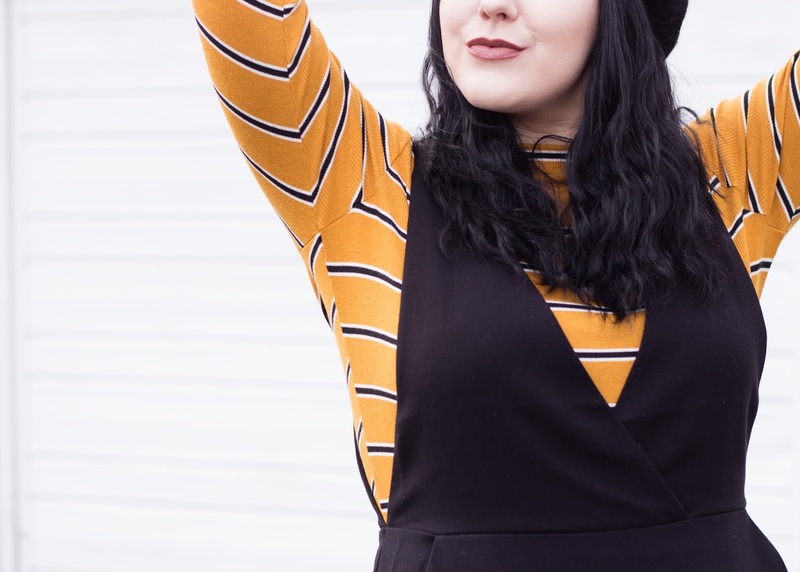 Stripes are a failsafe option for me in my wardrobe. 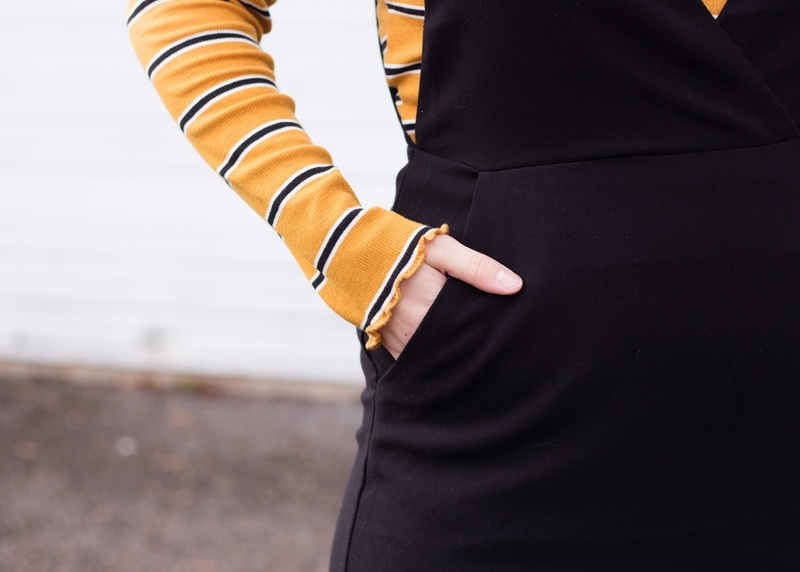 I have also recently been venturing out a bit more and incorporating stripes into my outfits in other ways, such as trousers, jumpers and jackets! As winter draws close and the weather becomes miserable and freezing I tend to opt for culottes in a lot of my outfits that I put together. This is mainly for how bloody comfortable they are, I don't really like wearing trousers but I certainly cannot wear skirts half as much as I want to when it's cold. 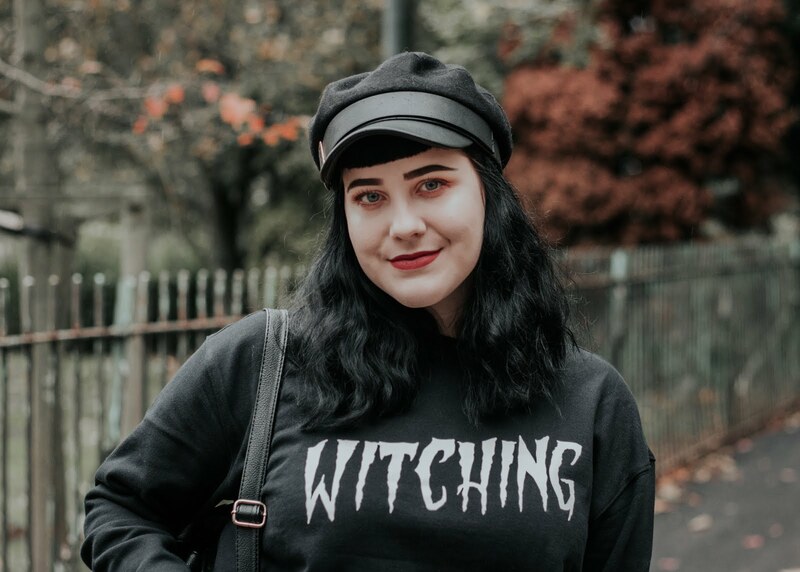 Culottes look effortless, you can quickly throw an outfit together in a rush and it would still look super cute and had maximum comfort. 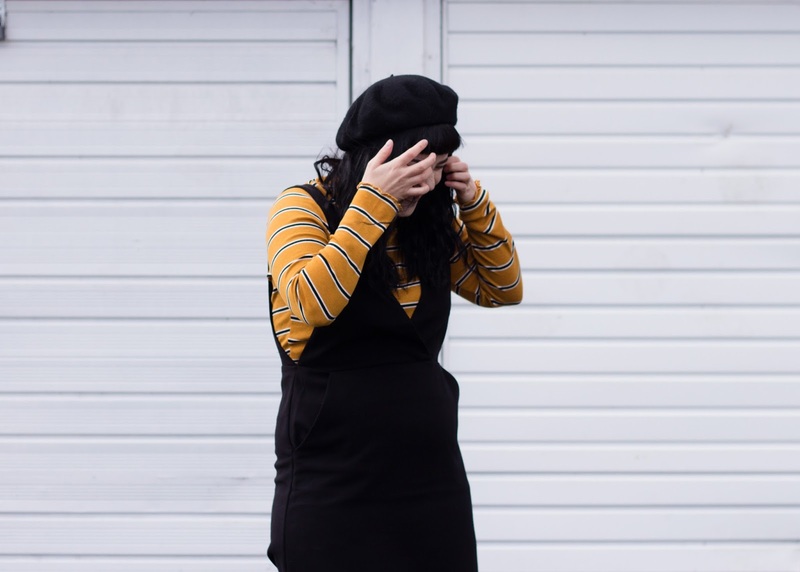 The thing I love about dungarees and pinafores in achieving the layered look so easily, when A/W comes around I love layering up! 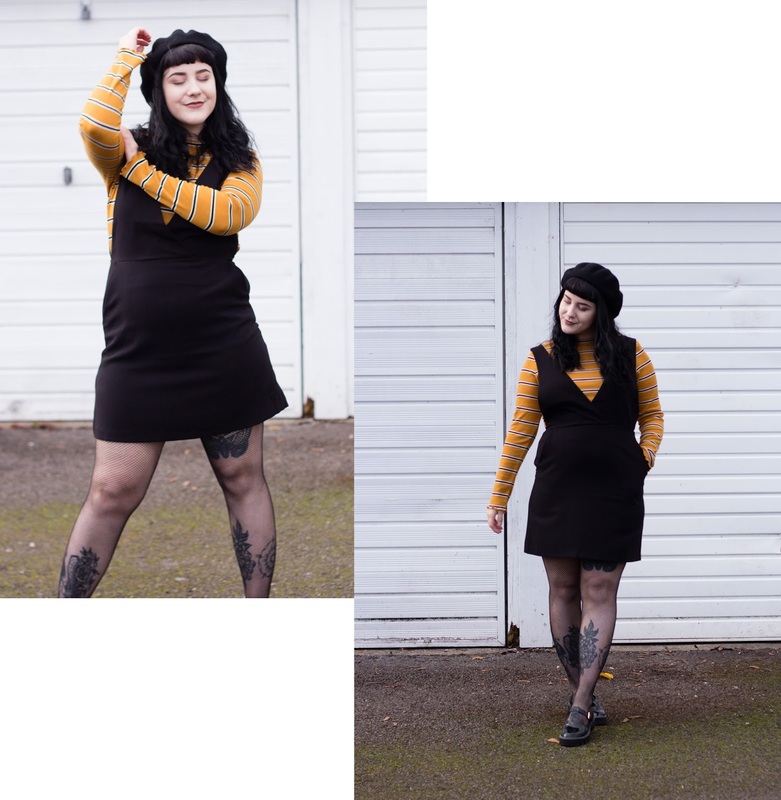 My favourites are dungarees in the form of jeans and dresses, but in this post I've styled a pinafore dress that I've had for a while! If you know me then you will know that I practically live in boots. 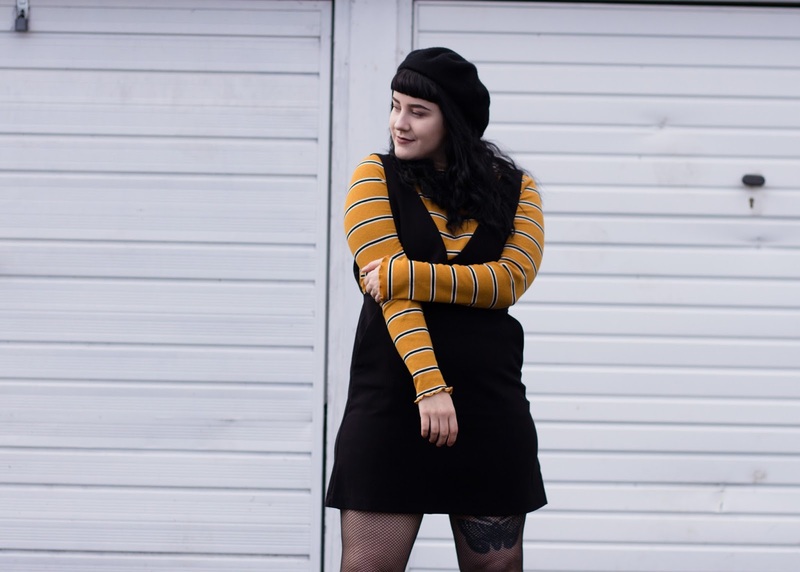 My Dr Martens are my favourites but I do own quite a few pairs that are from stores such as H&M and Primark too. 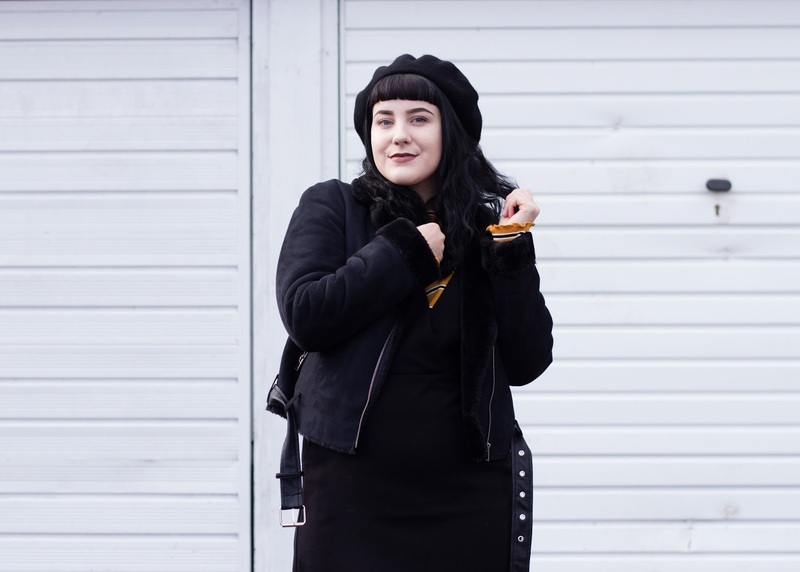 I think a chunky boot adds a little bit of a grunge element to a lot of outfits. I am absolutely obsessed with anything that has frills or ruffles on. I told myself that I needed to stop buying things with them on because they're such a pain in the bum when it comes to ironing but i can't stop! 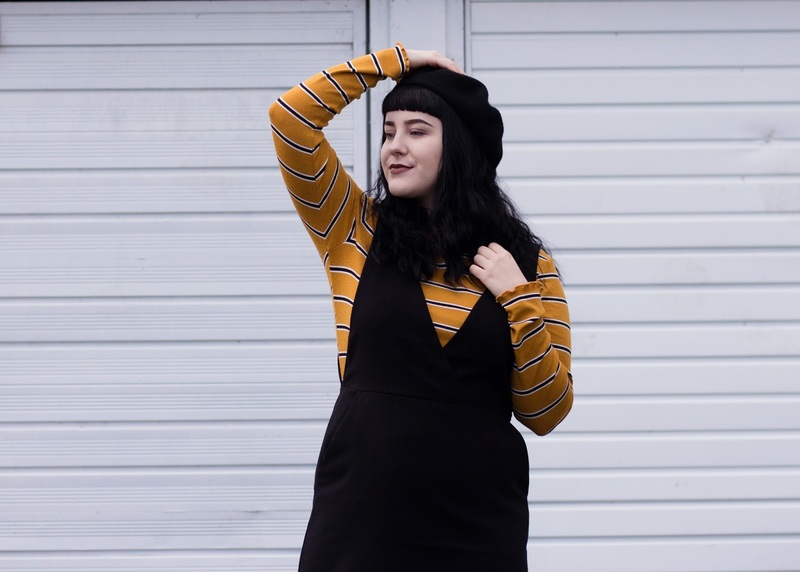 The outfit on todays post features two of my wardrobe essentials, a pinafore and stripes. 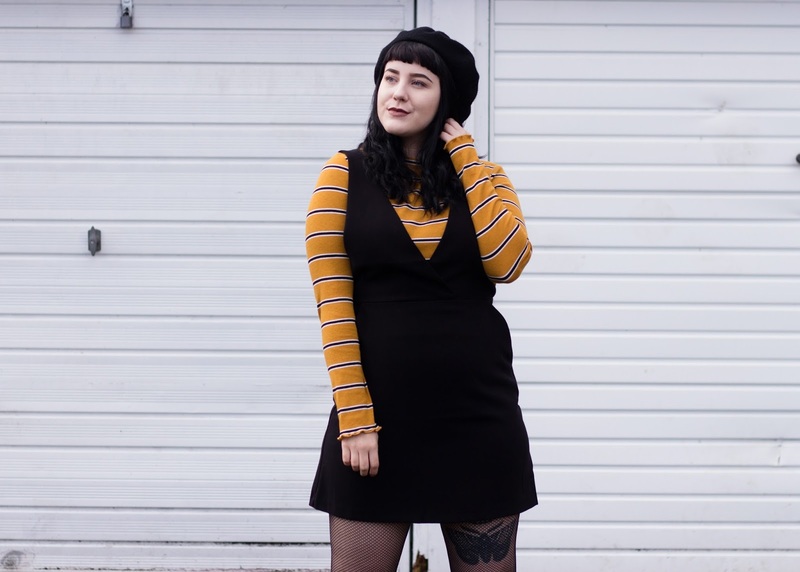 I love pairing this mustard yellow striped top underneath this pinafore, it has a slight retro feel to the outfit, plus mustard and black is one of my fave colour pairings. 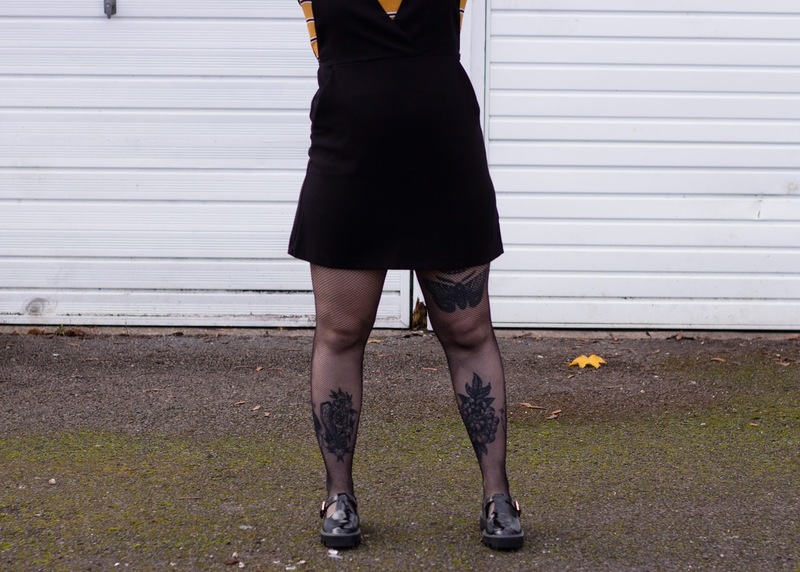 However, I haven't opted for a retro looking pair of shoes but instead I added these cute school girl-esque patent shoes from primark, and my beloved fishnet tights.